For anyone who has been reading the blog for a while, you would know that I have a nut allergy (mainly pecans, walnuts, macadamia, and nuts). 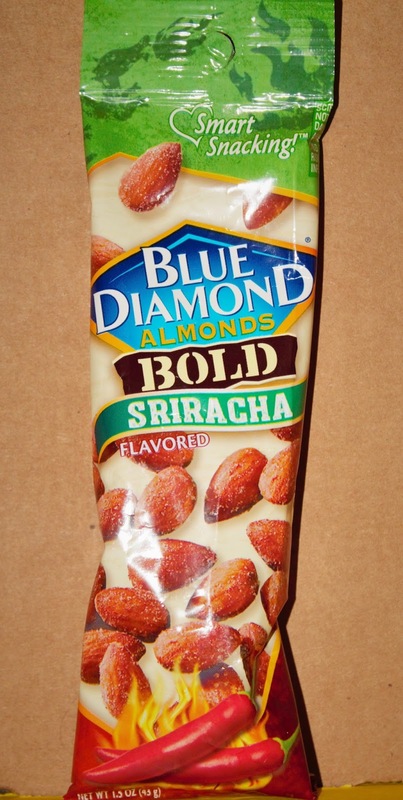 I received some Blue Diamond Almonds in my sunshine vox box from Influenster. They are Sriracha flavored. At first, I was a little afraid to try them. I like spicy foods but sometimes too much is a bad thing for me. These however, were not that at all. They had the right amount of punch to them. I would recommend buying these to anyone who likes to snacks throughout the day. The whole pack lasted me for almost 3 days as a snack (I would just eat a few whenever I was feeling hungry). I liked these so much that I went out and bought a container of them. If you get a chance I would say to go get a pack and try them for yourself and let me know what you think. 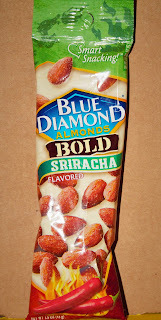 These are my opinions of Blue Diamond Sriracha Almonds. I was given this product for testing purposes.